The weather is warming up and Summer is around the corner. These are the times where lots of barbecues and gatherings will be going on and I'm excited for them all. One thing I like to have with me while either attending a barbecue or hosting one is a delicious cocktail that goes perfect for the weather that everyone can enjoy. 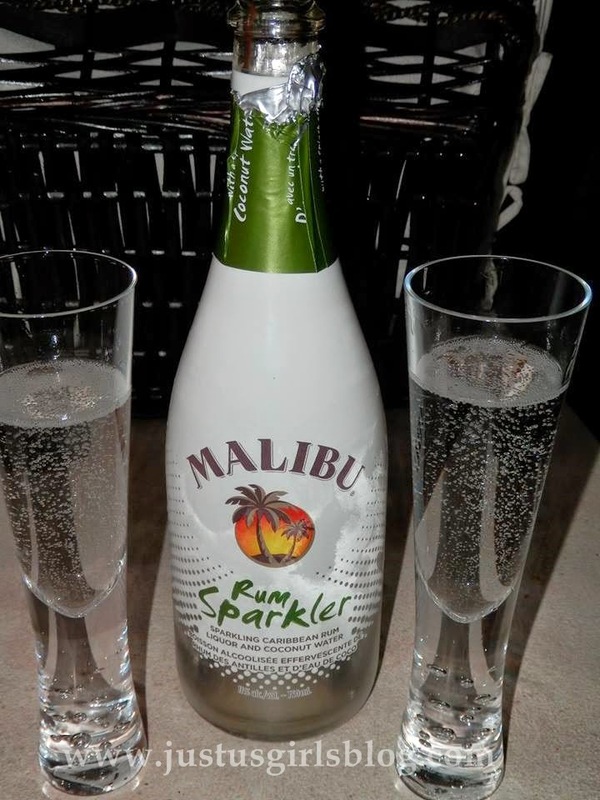 A couple weeks back I had the opportunity to try out the new Malibu Rum Sparkler. One word, Delicious! It's a lighter twist to Malibu’s classic Caribbean Rum flavor but with an infusion of coconut water and hefty carbonation. This is truly a sparking cocktail with a “spritzer” effect of carbonation that almost mimics a champagne. I really enjoyed this drink and definitely think it's more of a chick drink that will be enjoyed more by ladies then men. This 750ml bottle is 11% alcohol, (so it's not as strong as the classic Malibu Caribbean Rum) and can be purchased at your local LCBO store for $16.95. The light coconut flavor is perfect for enjoying on a backyard patio during a hot summer day. I enjoyed this bottle in its original form, but I did find a cocktail recipe that sounds awesome too; I’m anxious to try this one out soon! Disclosure: All opinions are my own. I received a bottle of Malibu Rum Sparkler at no cost for the purpose of this review. No other compensation was received.